This annual event now takes place in Chikuni in August/September. Participants have to register before hand. Their songs must be original, never published/recorded before. Usually there is a leading theme chosen each year but they are free to "talk" about anything important. Each category has three prizes. The panel of judges makes sure that they fall into one of the categories, have meaningful lyrics and original tune. 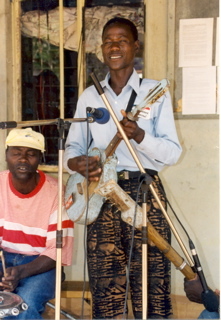 This is traditional music which is connected with work, in particular pounding songs (kutwa). In the past much of a woman's life was spend on pounding: it took a lot of time to pound for the ordinary meals of the day. When a woman was pounding she was usually singing, so over the years she built up quite an extensive repertoire of pounding songs. If you examine the content of these songs you would get a complete picture of Tonga life, for example she would sing about problems of marriage, different characters (such as her mother-in-law, the local headman etc.) and about her own emotions. Nowadays pounding has decreased compared to the past. Women also sang during grinding. The Kuyabila song is very important to a Tonga person. It was sung by one person alone (man or woman) accompanied by the friction drum (Namalwa) or a rattle (Muyuwa). It could be also accompanied by an ordinary drum (Ngoma) using a special rhythm. It could be performed at a funeral or any time in every-day-life in order to release personal feelings. When somebody sang in this way people would listen carefully to what was being sung, because when a person sang like this they revealed some hidden experiences, which would not be expressed at other times. For example a man could sing in praise of his cattle, of a difficult journey he had undertaken or to give himself courage and bravery when facing fear. Like the pounding song it could cover many different experiences of life. 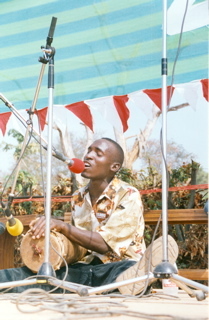 In the middle of the song the listeners would call out, encouraging him as he sings (Kumutembula). At the end of the Kuyabila the performer would conclude by calling down praise names on himself (Kulibanda). To the Tonga this is not a kind of conceit, but a way to encourage oneself in enduring the difficulties of life. The Kalumbu is a one stringed musical bow used by the men. Attached to it is a gourd which is used as a resonator and can change the sound according to the movement to or from the chest. Like the pounding songs for the woman it is performed to express inner feelings or different experiences of life. There is one important function of the Kalumbu. When the time comes for a young man to be married, he will be found continuously playing this instrument. To his parents this will be a sign of his wish to find a companion and marry. The Kankobela is a small wooden keyboard into which are inserted about eight metal keys, beneath them a hole is pierced which in turn is covered with a white substance which covers the spiders eggs, (Namundelele), used to alter the sound of the piano according to the preference of the musician. The keys are tuned according to a pentatonic scale. 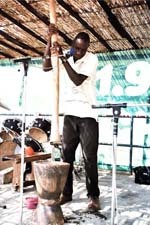 Like the Kalumbu the musician uses the Kankobela to describe his feelings and different experiences of life. Mulupumbe: One girl would enter quickly followed by another girl and so on until all had danced. The movements of this manner of dancing concentrated on the shoulders and the legs. Hiya mwana mwana: The right leg was lifted high in the air following the rhythm of the drum. The hands were thrown forwards and backwards while the performer looked from side to side. This dance could be performed at initiation, as well as for funerals and beer parties. At initiation it was danced during the previous night of the coming out of the girl and the following day of the actual feast. At the funeral it was danced before the deceased was buried and at the actual burial. It was danced while encircling the grave and the drum was in the middle. Apart from that it was danced at the months mind (Mweesyo). The songs and the style of dancing of Ndikiti at a funeral were performed to suit the sorrowful occasion. Ndikiti was also danced with more freedom at beer parties, when people had imbibed plenty of alcohol and had become happy. In general we can say that the lyrics of Ndikiti were well developed compared to other more simple forms of Tonga singing. In different areas Ndikiti can be called Haamatika, Mayanze and Bukonkoolo. This dance was also performed at initiation, funerals and beer parties, in each case suiting the mood of the occasion. The dancers formed a circle then each one would enter in turn to dance. Mime was one of the characteristics of this dance: the dancer would mimic people or animals, often in amusing situations. It was performed for initiation, during the wedding and for general entertainment. The people would stand in a circle with the drum in the middle. At the beginning this dance was very much connected with funerals. The instrument used was the pestle, this was placed on the ground and several women would sit on either side and beat out an integrated rhythm with sticks. Other women would encircle them while dancing. This dance was first of all connected with the funeral of a chief or a rich person. 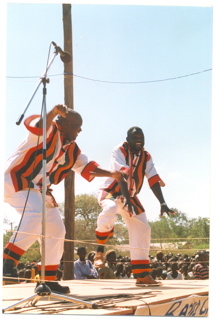 This dance originated in the Gwembe Valley. It was accompanied by flutes (Nyeele) and a large ensemble of special drums, each with their specific name. This dance was connected with sickness: the sick person was asked to dance and that is how recovery came. There was a special rhythm connected with each type of sickness. There were three drums played. 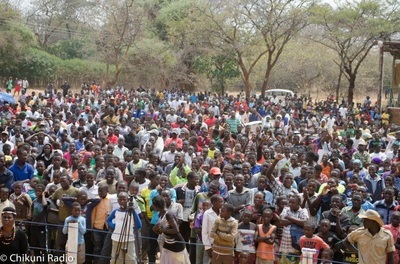 The Ngoma Yabudali was originally connected with dangerous situations, for example if the villages were raided by other tribes (such as the Lozi, Matebele or the Makololo). It was beaten to warn the people of the impending attacks, similarly if there was a lion in the district it was beaten, to inform the people of its presence. So the rhythm of the Ngoma Yabudali was very vigorous. In modern times it's more associated with expressions of joy. 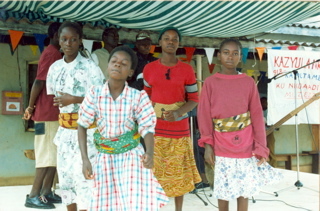 The dance accompanying it was called Kutambala. People still use spears as they dance it. It is also used when an elderly person dies; it is played in the morning and in the evening. The drums would be accompanied by rattles and what is called Kuzemba. 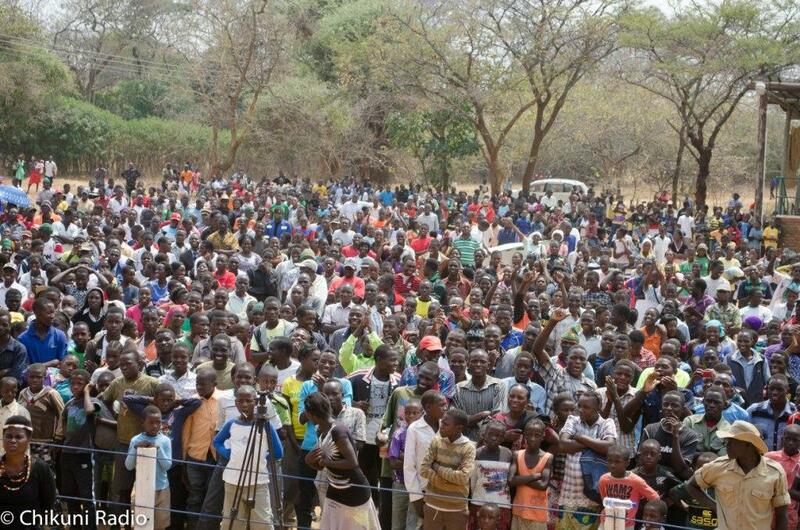 This probably is the most popular dance of the Batonga at present. It can be played at different occasions such as funerals, initiation and at beer parties. It is danced by men and women. Two drums are in the centre of the arena and the dancers dance in a circle. This music is associated with malende (shrine) beat although many Seesa players do not know this. It is characterised by the use of two drums. The master drum and a small “kasunto” drum. The Seesa name is actually where two dancers, female and male, would get engaged in a closed waist-wriggling dance. This has however changed as dancers now move in a circle around the drummers. Seesa is a drum dance that is modern to the Tonga culture. The drums have a fast jive that can be beaten in any rhythm the drummer chooses. Professional drummers can even make the drum ‘talk’, chirrup like a bird, bark like a dog and even weep like a child. One good example was the Gonde Culture Troupe from the sugar plantation town of Mazabuka. No word here fits a description of their performance. 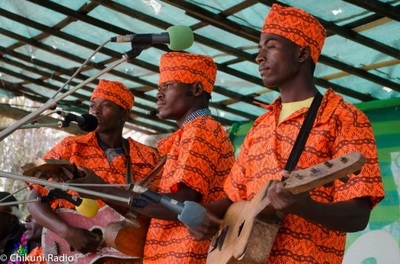 Chigome is a contemporary type of music that imploys the use of guitars or banjos to accompany the singers. The name comes from the action of the fingers hitting in the body of the guitar near the sound hall. In Tonga this is known as Chigome. This music developed from Masabe (therapeutic) music that was used to heal those that were possessed with evil spirits. Peter Nangulu popularised this style and Short Mazabuka is the champion in this category here in Southern Zambia. Chigome on the other hand, took people to times of ritual dances known as MASABE. This string sound, which goes along with a ‘gong’ sound hence chigome – has a fast rhythm and usually the lead singer needs a back up vocalist. 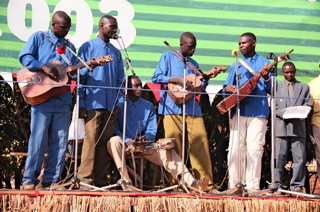 Kalindula music is derived from the Kalindula dance of Serenje district in central Zambia. It was popularised by the Serenje Kalindula Band who begun by using home made guitars to produce their music. The notable instrument in this music is the big bass string instrument that uses three stretched chords over a big resonator made from the metal part of a drum. The melodies are composed in the African style of call and response. Music performed with a classical looking guitar. These are wooden, hand made guitars, with different sets of strings: 3, 4, 5 or 6 strings guitars. Cords being played are very original, different from player to player. Music that is of Tonga-land but not among the one described above.